If you’d like to order a copy of Tamaruq, you can find the paperback edition through Amazon, Waterstones, or Foyles, and the ebook via Amazon. Or you can support independent bookshops by ordering through Hive. 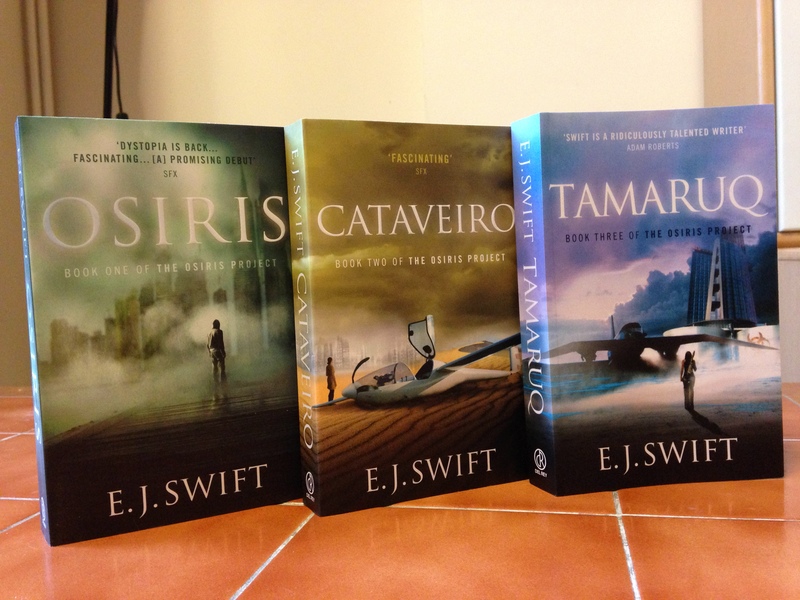 This entry was posted in Del Rey UK, Osiris Project, Tamaruq on January 29, 2015 by E J Swift. So, this weekend was LonCon3, and in the by now familiar spirit of cons, a mad, exhausting and marvellous one it was, full of all-too-brief meetings with new friends and old. I can’t imagine how much work went into programming such a vast event – huge thanks to all the organisers and volunteers who have done such an amazing job. Highlights included meeting Frances Hardinge and Greer Gilman for the “You Write Pretty” panel on the Saturday (Frances was by far and away the winner with her Jabberwocky quote, but I’m still holding out for Jennifer Egan), and a thought-provoking discussion with David Hebblethwaite and Anne Charnock for the “Bridging the Gap” panel on Sunday. Also a big thank you to Adam Roberts who joined us at the last minute as our moderator was unable to be there on the day. 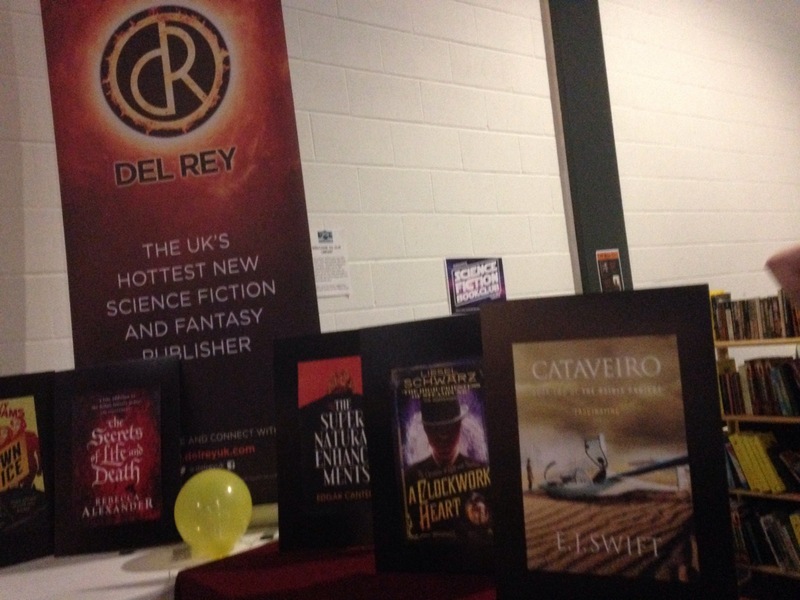 The Del Rey party on Saturday night was a lovely relaxed affair – thanks to everyone who stopped by and chatted (and to those who took a book! I do hope you enjoy). Blogger Voltron followed, and it was great to get the chance to put a few Twitter handles to faces. As always, I didn’t get to see as many panels as I planned, but “The World at WorldCon: South and South East Asian SF” was fantastic, and I really enjoyed “My Opinions: Let Me Show You Them”, with a panel full of bloggers on the Sunday. I also managed to attend the NewCon launch and pick up a copy of Nina Allan’s wonderful new novel The Race. By Sunday evening I was more than ready to swap the windowless hangar of the ExCel for the sofa, so followed the Hugo excitement from afar – only to learn that had I stayed, I might have caught a glimpse of David Tennant. This entry was posted in Conventions, Del Rey UK, LonCon, WorldCon on August 18, 2014 by E J Swift. A few people have asked me what’s happening with the next two books in The Osiris Project trilogy in the US, and I’m now able to give a proper update. 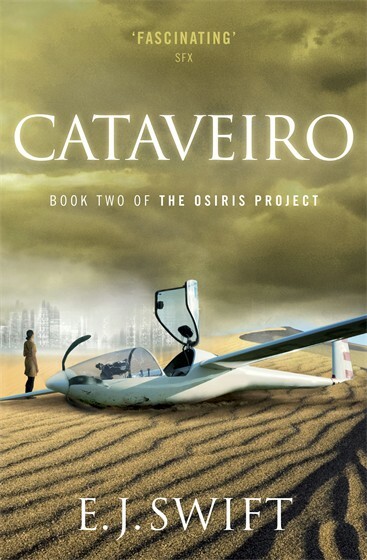 Night Shade Books will continue to publish Osiris in print and ebook form, but they will not be publishing Cataveiro (Book 2) or the third installment in the trilogy. For readers across the pond, if you’d like to get hold of a print copy of the Del Rey UK edition of Cataveiro, I’d recommend ordering from The Book Depository, which offers free delivery worldwide. The trade paperback edition is available now, and the smaller paperback will be published in September. I’m also hoping to have a US ebook of Cataveiro available soon – more information to follow as I have it. 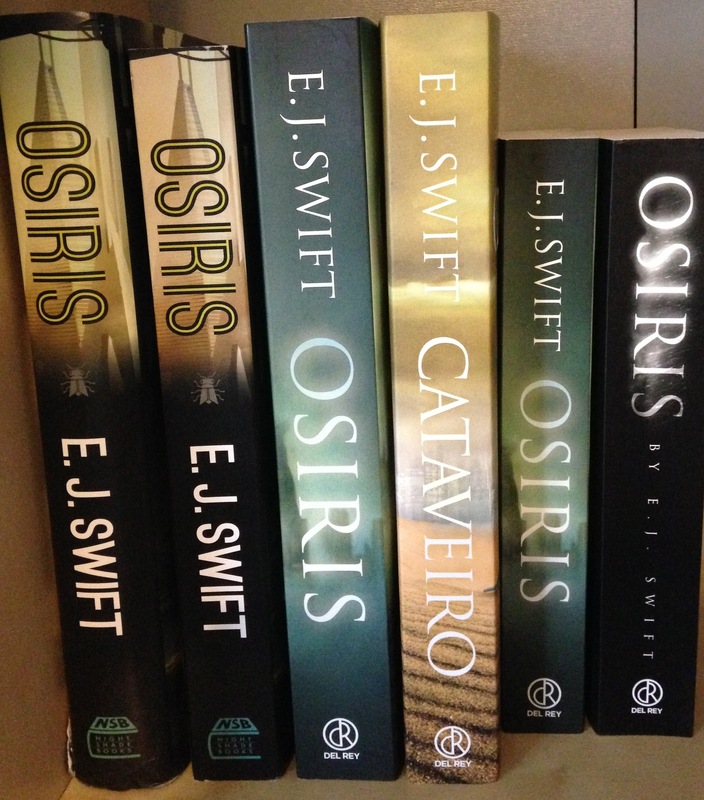 This entry was posted in Cataveiro, Del Rey UK, Osiris Project on August 13, 2014 by E J Swift. 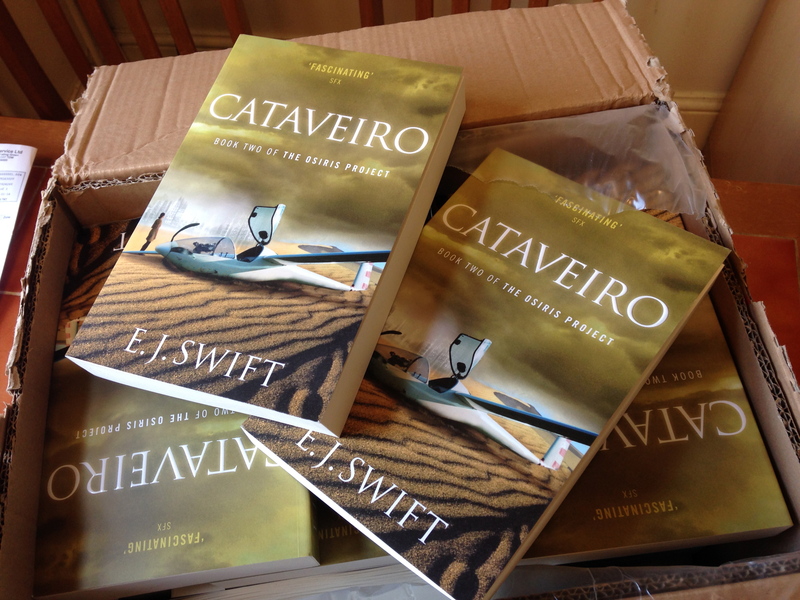 Great excitement today when a box of brand new UK editions of Cataveiro arrived in the post. This book has been a long time in the works, and it’s both wonderful and a bit scary to see it in its final, physical form, knowing it will soon be out in the world. I’m so thrilled with this cover, which features Ramona’s aeroplane, Colibrí (the Spanish word for hummingbird). And next to a suite of Osiris compadres! Cataveiro is released from Del Rey UK on 20 February. You can read more about it on the Del Rey website. This entry was posted in Cataveiro, Del Rey UK on January 10, 2014 by E J Swift. Both are available on Amazon/Audible. 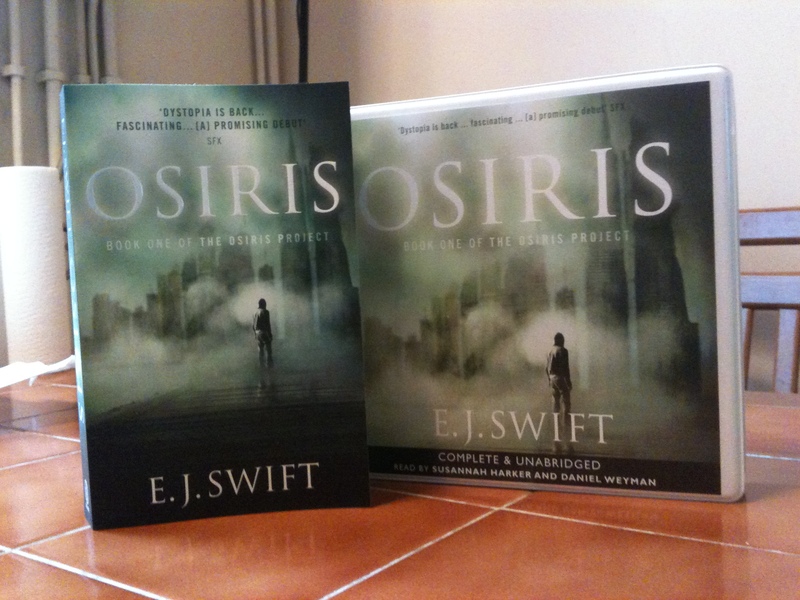 This entry was posted in Del Rey UK, Osiris on September 14, 2013 by E J Swift.